Skateboarding can cause accidents to happen which leads to scratches, bumps, cuts, bruises, broken bones and other minor and major injuries. Whether you’re a novice, an intermediate or a professional skater, you are no exception to the rule. No one can predict when an accident can occur. However, what you can do is to avoid it from happening by taking protective and preventive measures. You should also be prepared in case a mishap occurs directly to you or to someone else. You cannot always wait for help to come along. Be pro-active in handling unforeseen situations. You’ll never know, your knowledge and preparedness can help save a life or two. 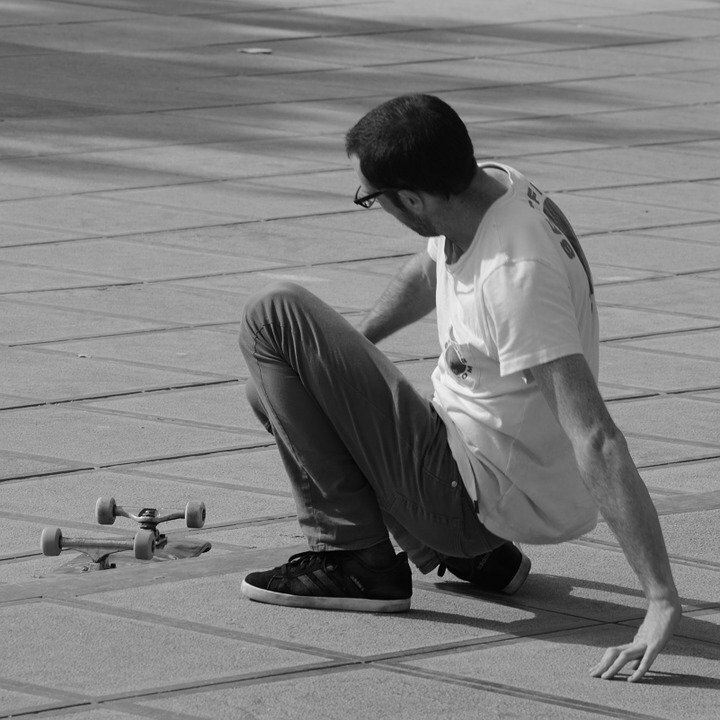 Every skater has experienced falling from their skateboard at least a dozen times in their skating career. This is why wearing a proper protective gear is important. Some skaters skip this step entirely, only to regret it once they slip and injure themselves. If only they decided to wear their gear, then they could’ve avoided getting hurt. Skaters are not immortals. No matter how good you are in riding the course and performing your tricks. 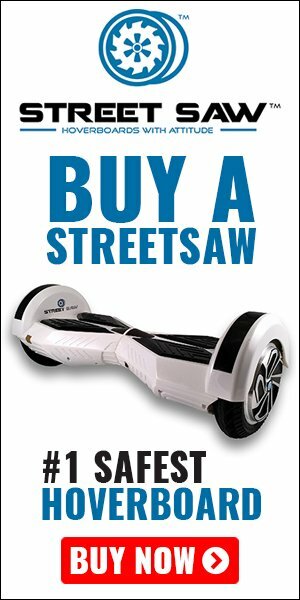 You can still hurt yourself. A helmet, knee pad, and elbow pad can protect you tremendously from acquiring serious physical injuries. When you are falling, roll yourself so that you land on your shoulder instead of your back and tuck in your elbows. You can try this in your backyard or somewhere with a soft cushion to break your fall. Simply lean forward and let yourself fall. Once you roll on your shoulders the force will move with you. It will lessen the impact and minimize the pain. If you are riding on ramps, rails, or any other risky courses, let your kneepads cushion your fall. You can also try practicing this too. Run to the ramp, drop on your knees, and slide away. Make sure you wear your protective gear even during your practice. By following these steps, you can minimize and avoid major injuries. After all, no skater wants to end up in a hospital bed. In most cases, some falls may directly result in road rash which refers to when your skin gets in contact with the pavement. Since accidents are most likely to occur during skateboarding, you should learn how to handle and facilitate at least the basic first aid skills. At least you know how to treat a road rash. A medical kit always comes in handy especially when you least expect it. 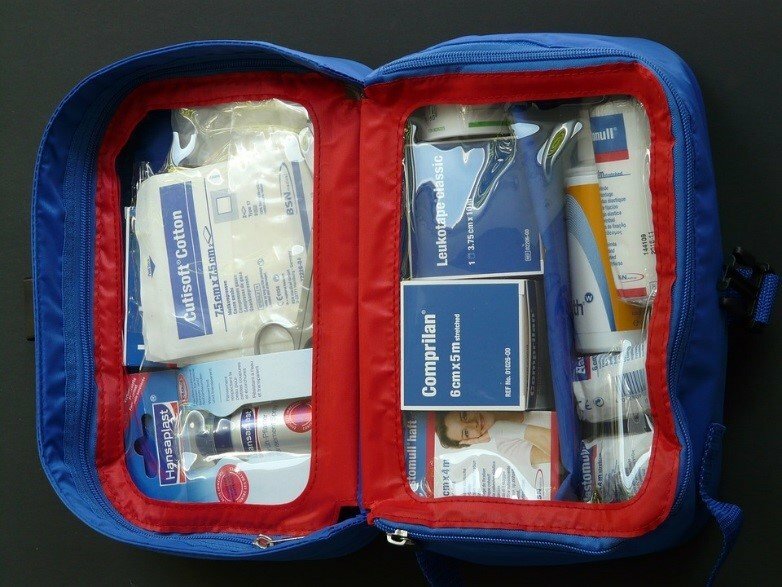 The basic skills in administering first aid include knowing how to treat a wound effectively. We don’t expect you to know everything, but if you can dress and treat a minor cut, then you are already a life saver to the person injured. If the cut is infused with dirt and small rocks, the first thing you need to do is to treat it quickly to prevent it from getting infected. Water down the wound to eliminate all residue and particles. Clean it thoroughly using your cleansing pads. Then spray the affected area with saline solution and continue to clean the wound. Fresh wounds need to be tended to as soon as possible because it will start to heal even with all the dirt and bacteria surrounding it. If you delay this, the wound will become infected and will be more painful to bear. Depending on how deep the cut is, you may have to change the dressing of your wound often. A bioclusive dressing will maintain the moisture of the wound while allowing the mass to evaporate and prevent it from getting contaminated. Moisture can prevent your wound from becoming a scab. Once this happens, the hardened scab may tend to break upon movement. Seal the wound with a gauze pad and skin tape to protect the wound entirely. You should know how to identify if an infection occurs. If the pain becomes more intense, you will notice a change in the appearance of the wound. Infections, especially near the joints can lead to further complications if not treated immediately. Remember, if the accident is beyond your control and involves serious injuries, seek professional help immediately. Leave it to the professionals and experts. The number of skateboarding accidents continues to rise every year. Alarmingly, the demographics state that these injuries comprise a majority of children. 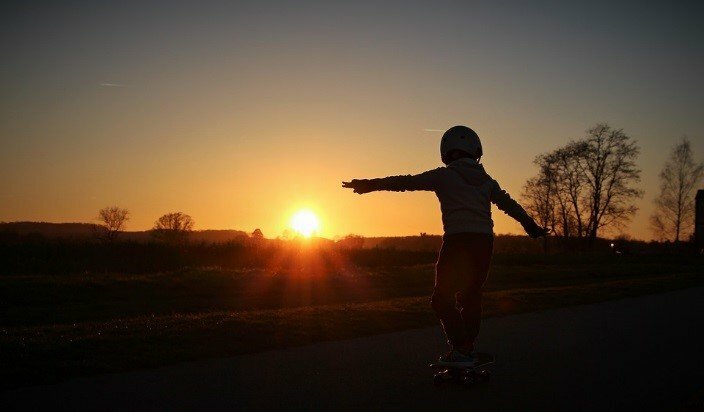 Based on statistics from the American Academy of Orthopaedic Surgeons, 52% of skateboarding injuries involve kids below 15 years old. Skateboarding is definitely an exciting recreational activity and sport. However, it also comes with risks. Skateboarding in Winter: Is it Possible? Skateboard vs. Longboard: What’s the Difference?